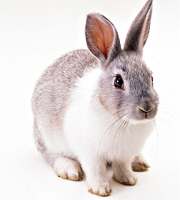 Rabbit (lapin) is called "Usagi" in Japanese. Usagi is one of the 12 animals of the Oriental Zodiac (Eto, Chinese calendar). Usagi symbolizes suaveness and obedience.